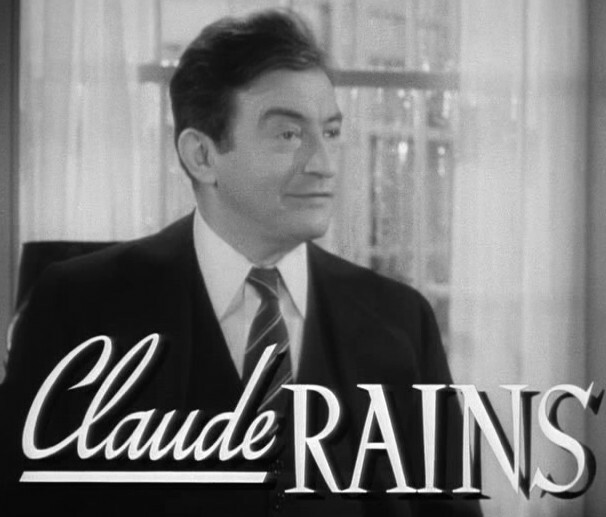 William Claude Rains (10 November 188930 May 1967) was an English–American film and stage actor whose career spanned several decades. After his American film debut as Dr. Jack Griffin in ''The Invisible Man'' (1933) he appeared in classic films such as ''The Adventures of Robin Hood'' (1938), ''Mr. Smith Goes to Washington'' (1939), ''The Wolf Man'' (1941), ''Casablanca'' and ''Kings Row'' (both 1942), ''Notorious'' (1946), ''The Pied Piper of Hamelin'' (1957), and ''Lawrence of Arabia'' (1962).